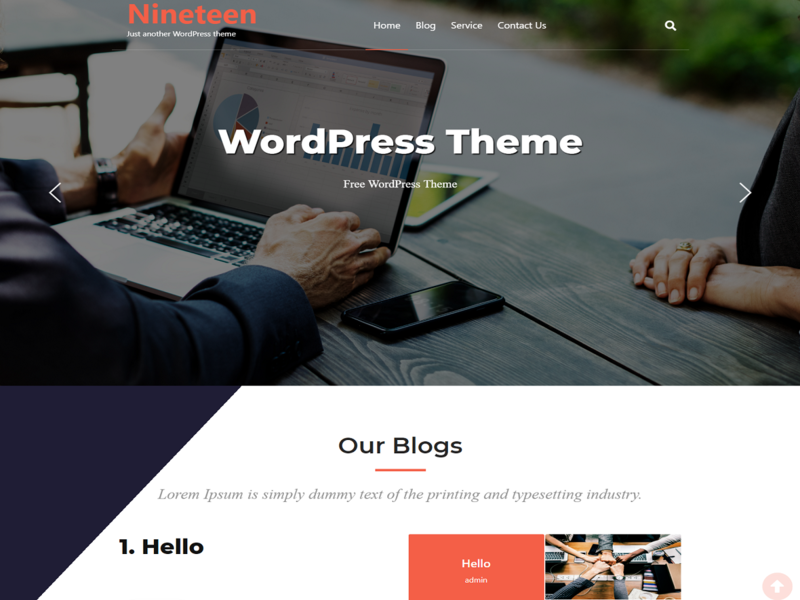 Nineteen is a free WordPress theme with fully loaded with latest designed features, user-friendly, fully responsive, Modern Design WordPress theme built with care and is loaded with SEO optimized code. Theme features a front page slider, Portfolio, Services, Team, Clients, Blogs. Nineteen allows you to fully customize your site without having to work with the code. Nineteen also features a live customizer, allowing you to change settings and preview them live. Add a search box on the header. Theme Slider Options – It is used to add slider image, title, description and enable/disable slider on the homepage. Service Options – It is use to add service title, description, service icon, title, description and enable/disable service on homepage. Portfolio Options – It is use to add portfolio title, description, portfolio image, title, link and enable/disable portfolio on homepage. Home Team Options – Use to add team title, description, team member name, image, designation and description, profile link on the homepage. Home Client Options – Use to add client title, description, client name, the image on the homepage. Home Blog Options – Use to add blog title, description, blog excerpt length and enable/disable blog section on the homepage. Footer Options – Use to add Customization text, developed by text and developed by the link.